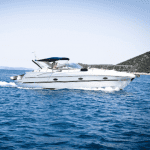 Earlier this year we introduced a new manufacturer to our boat cover lineup. 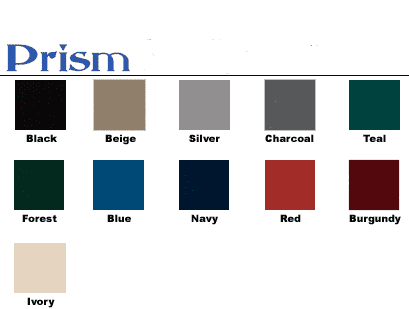 We are proud to offer boat covers by Shoretex and in an earlier blog post, we touched on the fact that they make covers in three different materials. Understanding the differences in these materials will allow you to make a more informed decision when choosing to order a Shoretex cover. 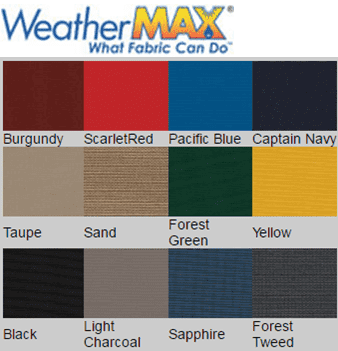 Shoretex covers come in TravelTuff, Prism, and WeatherMax materials and all three have similarities and differences. All three carry a 5 year warranty, are trailerable, and are custom fit. 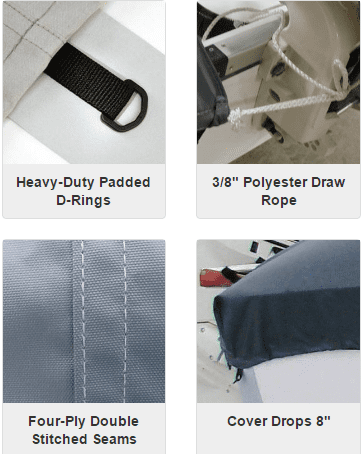 Shoretex covers are patterned specifically for each boat and they offer options for trolling motor and kicker motor coverage as well as options for covering an outboard motor. The brand might be new to our lineup, but they are no stranger to the marine canvas business. They’ve been around for over 25 years and custom covers are their specialty. Give them a try! You can’t go wrong when it’s custom. Call us at 1-866-626-8377, use our Live Chat feature, or visit us at www.boatcoversdirect.com to discuss cover options for your boat.